Jack Metcalfe, 2017 William Davis Service Award recipient. 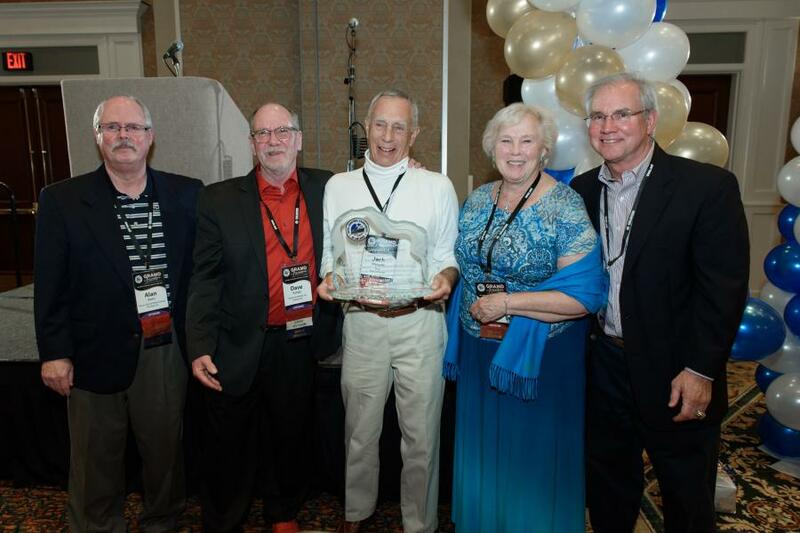 The Steel Erectors Association of America has recognized John (Jack) Metcalfe with its William Davis Service Award. The award is given to an individual who has demonstrated a life-long commitment to service in the steel construction industry. It is the association's highest honor, presented in memory of William Davis, who held board and committee positions for nearly 20 years through the 1980s and 1990s. Recipients of the award exemplify qualities of volunteerism and generosity. 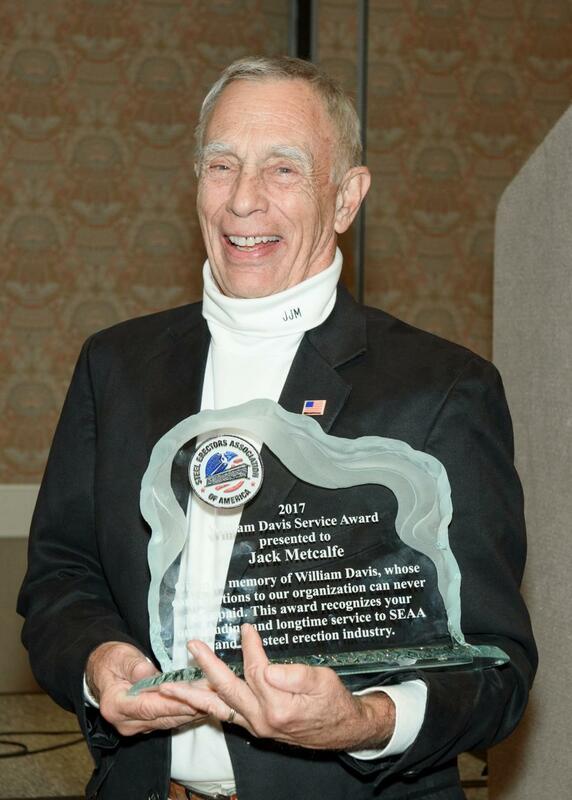 “Jack Metcalfe is a long-time volunteer to the SEAA board of directors. During his tenure, Jack has served on multiple committees, was the driving force behind the SEAA/NISD Detailing Guide, and he has provided sensible input for the operations and future plans of SEAA,” said Dave Schulz, SEAA president. Metcalfe recently retired from John Metcalfe Co., and now runs a small consulting business. He has served on SEAA's board of directors for more than five terms over the years. In addition, he is co-author of the SEAA/NISD Erection Safety Manual. “Jack was a driving force behind the development of the detailing guide,” said Tom Underhill, SEAA executive director. “At the time, there were no other published best practices that were both erector friendly and OSHA compliant. First published in 2002, this is a professional contribution that has a lasting benefit for the industry,” he said. Metcalfe is a past president of the National Institute of Steel Detailing. He was NISD's liaison to SEAA for many years. “To receive the William Davis Service Award is a most humbling experience. I had the privilege of knowing William and witnessing first hand his many contributions. To be recognized by one's peers is an honor for which I am most grateful,” Metcalfe said. For more information, visit www.seaa.net.